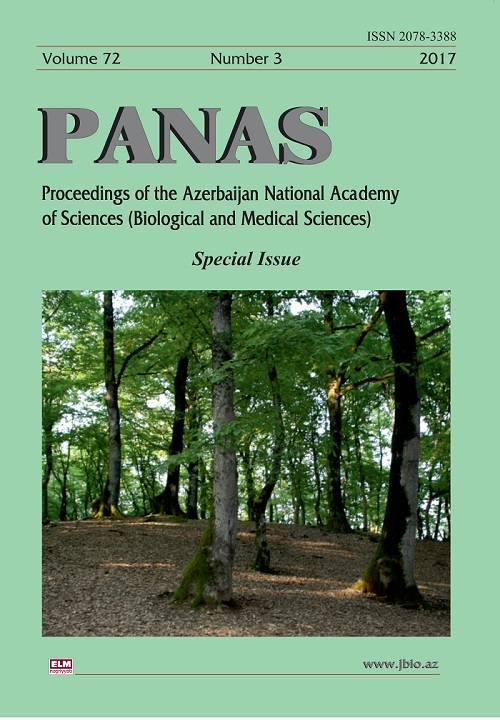 The 3rd issue of the 72nd volume of the journal "News of ANAS (Biology and Medical Sciences)" was published in English. The purpose of publishing a journal in a foreign language is to bring the results of the research carried out in the republic to a wider readership. The first article of the journal is devoted to the 70th anniversary, life and work, scientific achievements of the editor-in-chief, academician-secretary of the Department of Biological and Medical Sciences of ANAS, academician Ahliman Amiraslanov. This number includes 22 articles reflecting the results of research in the field of biological and medical sciences conducted in the institutes of the Medical Academy of Moldova and various higher educational institutions and research institutions of the republic. At the same time, the article included an article co-authored by the employees of the Ankara Medical Park hospital in Turkey - G.Jabrailov and J.Karaya.